Several people were killed on Nov. 5 by security forces in Nekemte, a major town in western Oromia, during a protest about more fatal inter-regional violence. Dozens were also admitted to hospital after four were shot dead and teargas was fired, said Meles, a resident, in an incident that led to university protests across Oromia. The shootings occurred after protesters erected road blockades as they were angered by military trucks passing through Nekemte that were heading away from where Oromo had been attacked, he said. An armed group from Benishangul-Gumuz killed and torched houses on Nov. 4 in East Wollega Zone, which led to displaced people and three police officers’ bodies arriving in Nekemte, said Abdisa, another resident. They came from Kenafi town and Anger Gute Kebele in Guto Gida Woreda, areas that are about 30 kilometers away from Nekemte. 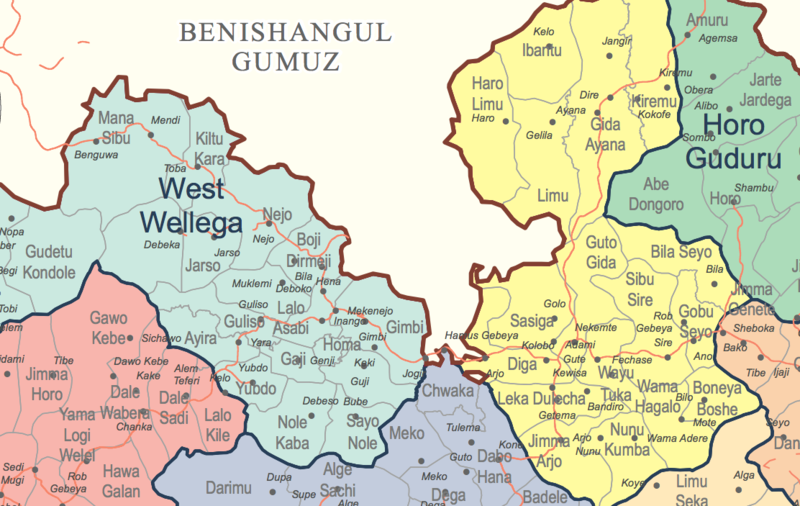 Aga Wirtu, a Guto Gida judge based in Nekemte, said the well-armed attackers arrived from Benishangul-Gumuz when many locals were away at an Irreecha celebration. Serious violence mainly between Oromo and Gumuz flared a month ago in an area where there has been historic disagreement over the regional border and access to resources such as land, gold, and sand. Aga gave a death toll of two and a slightly different account to Meles of the Nekemte unrest, which mirrored multiple similar fatal incidents in Oromia since 2014. He said the displaced made a sit-down protest on the road after they were dissatisfied by town administrators’ response. As news spread of the killing of the police officers, locals joined them. That prompted security forces to try and clear the road by beating protesters, which people responded to by throwing stones, telling them to harass the Guto Gida attackers instead. “The protest turned into chaos. Students protested on that day and we were hearing sound of gun shots that night until noon of yesterday,” he said on Nov 7. In Nekemte, shops were closed on Nov. 6, public transport was not running, and people stayed home as shooting was ongoing, said Desalegn, who is assisting displaced people. Husein Fayiso, a deputy head at the Oromia Administration and Security Bureau, told VoA Afaan Oromo that anti-reform elements financed the Guto Gida attack. The protest initiated by Biftu Nekemte High School students spread on Nov. 6 and 7 across Oromia to university campuses in Ambo, Wolliso, Jimma, Adama, and Dinsho, as well as in Bako and Mendi towns. No serious violence was reported. Demonstrators expressed concern about the killing and displacement of Oromo from Hararghe in the east, Raya to the north, Guji in the south, as well as Wollega on Oromia’s western border. They also rejected a perceived plan to disarm fighters connected to the factionalised Oromo Liberation Front’s (OLF). Tensions between Oromia’s ruling party and the OLF group led by Dawud Ibsa have risen since the OLF was legalized in June by Parliament amid a broad political opening. Historic disagreements over land and the presence of armed groups in Oromia and Benishangul-Gumuz, combined with the Oromo Liberation Army issue, are exacerbating the situation, said Ethiopia Insight’s Oromia analyst Mengistu D. Assefa. “The OLA disarmament saga created considerable frustration among Oromo youth in general and in particular in western Oromia, where these armed groups are present,” he said. The OLF formed in 1973 to fight for Oromo independence and was loosely allied with the Tigrayan People’s Liberation Front (TPLF) in the struggle against the Derg. But during the post-1991 transitional government, the two liberation fronts fell out. Meanwhile, the TPLF had nurtured the party now led by Abiy to govern Oromia instead of the OLF, which splintered while in exile. 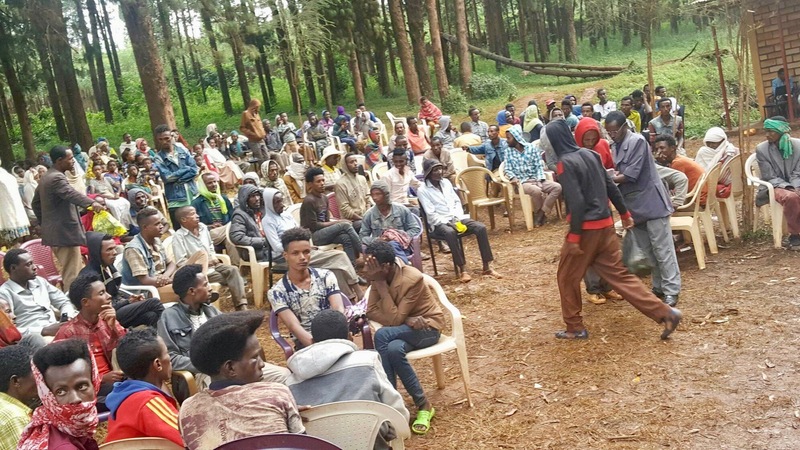 Ruling Oromo Democratic Party officials such as Addisu Arega, Milkesa Midega and Taye Dendea were accused by protesters of divisive comments. Ethiopian Prime Minister Abiy Ahmed was blamed for negligence and Oromia president Lemma Megersa was criticized for appointing Kemal Gelchu, Abebe Geresu and Hailu Gonfa. Kemal led an OLF faction that rivaled Dawud Ibsa’s and is now head of Oromia’s security bureau, and Hailu, another OLF splinter leader, and Abebe were also handed senior security roles. On Oct 30, Oromia and Benishangul-Gumuz officials discussed the return of people forced from their homes after a conflict triggered by the assassination of Kamashi Zone officials. 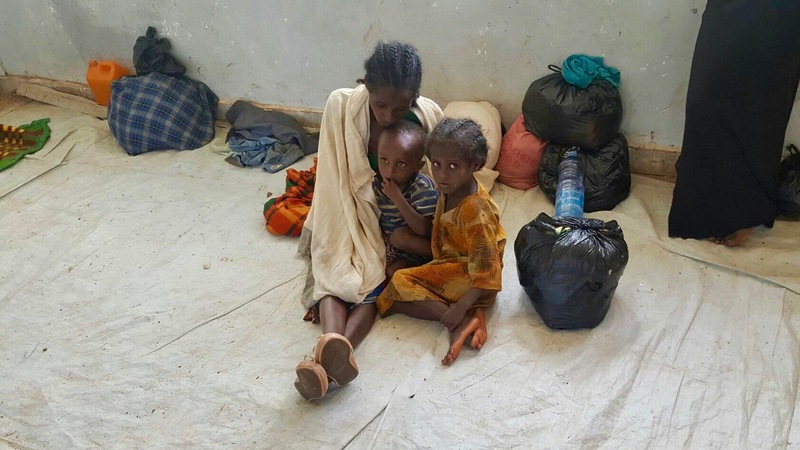 A health worker said there is not enough support from the government or aid groups for the 180,000 people at 55 sites in West and East Wollega zones displaced from Kamashi and seven Oromia woredas, 16,000 of whom are Amhara and the rest Oromo. “The food supply still now is from the surrounding people by the coordination of Qeerroo, the young Oromo generation. Almost no mattresses, no blankets and significant shortage of dignity kits for females and tents. The instances of malnutrition among children is rising,” he said on Nov. 7. Ethiopia Insight’s Oromia analyst Mengistu D. Assefa says the government must push ahead with negotiations with the OLF on integrating their forces before the situation spirals further out of control. There has been longstanding and recurrent violence among people from Benishangul-Gumuz and Oromo in Wollega, mainly over land and resources. The presence of armed groups in western Oromia for a long time has exacerbated the problem, especially after the OLF came home. They claim to be part of the Oromo Liberation Army in Oromia. There are such armed groups in Guji as well. The OLA disarmament saga has created considerable frustration among Oromo youth in general and in particular in western Oromia, where these armed groups are present. The government has repeatedly disclosed that there are illegal military training camps in Benishangul-Gumuz. These camps have groups who finance, recruit, train and arm the youth according to officials. This situation has created a widely felt fear among Oromos in western Oromia. Residents say they don’t feel safe if OLA is disarmed. The federal government and OLF did not engage in fruitful discussions over the reconciliation agreement since they signed it on Aug. 7. The agreement stipulated the formation of a joint committee for further discussions and implementation. This did not yet happen. Instead, regional and party officials and OLF supporters engaged in media propaganda against each other, which further fueled the existing concern that ODP (formerly OPDO) might repeat the harm it did to OLF in 1991, when the liberation front was pushed from the transitional government. The solution is the formation of the joint committee and holding serious discussions on how to integrate the OLA into the country’ s security apparatus, including the military. Otherwise, apart from the security crisis, it might spiral into a political crisis in the region and mass protests could become inevitable. The situation in Benishangul-Gumuz seems so fluid and susceptible to recurrent security crises if the regional government does not improve its handling of the situation and the federal government does not control the illegal military training. the population. People should not take security matters upon their own hands.